RM9 bilion duit rakyat untuk selamatkan Astro…? KUALA LUMPUR, July 18 — Malaysian tycoon Ananda Krishnan is set to restructure his premier satellite television operator, Astro All Asia Networks, in a RM9 billion transaction that will rank as the region’s largest corporate exercise so far this year. Under the proposed corporate deal, Astro’s two main shareholders — the Ananda-controlled private investment company Usaha Tegas and Malaysia’s state-owned Khazanah Holdings — will acquire the satellite television company’s fledgling and still unprofitable international business interests. The planned hive-off of its international business will turn the Malaysian-listed Astro into a clean entity that will house its profitable domestic operations, bankers close to the transaction told The Straits Times. The corporate restructuring exercise, which could be announced as early day after tomorrow, will also feature a major sweetener for the company’ shareholders. The company is set to announce a one-off dividend payment of about RM1 per share, the bankers said, adding that the whole deal will value Astro at around RM9 billion. The planned transaction is set to remove the drag on Astro’s share performance, which has been bogged down by problems in its international operations. Speculation that a restructuring is imminent has re-ignited interest in the stock in recent weeks. Astro shares, which have been hovering at just under RM2.80 apiece for much of the year, currently trade at around RM3.50 apiece. A windfall for shareholders is emerging as a hallmark of Ananda’s large corporate manoeuvres. When he launched his buyout of his listed mobile telecommunications company, Maxis Communications, in May 2007, he paid sharp premium for the shares held by the public in a deal valued at over RM16 billion. According to bankers involved in the Maxis transaction, government-controlled entities such as Khazanah, Permodalan Nasional, the Muslim pilgrimage fund Tabung Haji and the two national pension funds collectively received just over RM7.5 billion for their holdings in the mobile telco. Under the soon-to-be-announced Astro transaction, Khazanah, the state investment agency modelled along the lines of Singapore’s Temasek Holdings, will receive close to RM340 million from the dividend payout, bankers with knowledge of the deal said. Khazanah will also retain its 22 per cent interest in the listed Malaysian entity and control a roughly 33 per cent stake in the private vehicle that will house Astro international business. Ananda’s Usaha Tegas and its other affiliates will control the remainder in the yet-to-be-named private entity, the bankers said. Over the past decade, the 71-year-old Ananda — who is ranked as one of South-east Asia’s wealthiest tycoons — has emerged as a powerful force in the region’s multimedia sector, with Astro and Maxis forming the cornerstones of his new-media empire. Astro, which has invested over RM1 billion to develop its own content for the region’s large Malay-language speaking population, beams its services to more than three million households currently. Bankers say the company’s customer base could hit 3.5 million in the next three years. But results from its overseas investments have been mixed. Its foray into Indonesia, under a joint venture project with the powerful Lippo Group controlled by the Riady family, has been a disaster. Astro is now caught in a messy legal wrangle with Lippo and has been forced to make provision for losses of just over RM1 billion for its investment in the Indonesian venture. Melayu tanya Najib liberalisasi apa? Senang saja PM menyogok dasar kepada rakyat yang belum tentu tahu benar-benar hujung pangkalnya mengenai liberalisation measures ni. Apa implikasinya kepada rakyat Malaysia, siapa yang sebenarnya berkuasa menguruskannya, kenapa tidak dibincang dengan lumat sebelum ia menjadi dasar, dan apakah jaminan ketelusan dalam pengoperasian liberalisasi ekonomi ini? Siapakah pula yang akan untung banyak dari proses liberalisasi ini? Siapakah key players yang PM maksudkan yang telah beliau bincang bersama mengenai liberalisasi ini? Bukankah wakil-wakil rakyat mewakili rakyat sebagai stakeholders dalam dasar liberalisasi ini? Kenapa tidak bincang dengan mereka? Nak guna wang rakyat tak perlu bincang dengan mereka atau wakil mereka? Kenapa Melayu akan terima liberalisasi ini? kerana ramai Melayu belum tentu tahu maksud dan kandungan dasar ini yang kelihatannya tidak menguntungkan Melayu terbanyak? Mana kajiannya? Mana statistiknya? Mana unjurannya? Apa maksudnya….He also said that the spirit of the New Economic Policy (NEP) in its macro form would continue but the instruments used to restructure society and achieve equality would have to be changed. Jadi, 30% pemilikan bumiputra itu masih diteruskan menggunakan cara yang lain? Bukankah itu suatu doublespeak yang memberi persepsi bahawa ada mekanisme yang ghaib yang akan memastikan bahawa NEP terus kekal? Kalau rakyat biasa nak mendapatkan duit dari mana-mana (kecuali Along) sangatlah susah. Sebaliknya para pemimpin pemerintah terlalu mudah menggunakan duit rakyat tanpa susah payah dan banyak kerenah dan dalam amaun apa saja diminta. Wajarlah sebelum menggunakan hak rakyat, para pemimpin menyediakan secara terperinci segala yang berkaitan dengan penggunaan wang tersebut. Bukan menggunakan hak rakyat seolah-olah bapa-bapa mereka yang empunya. KUALA LUMPUR: Datuk Seri Najib Tun Razak is confident that Barisan Nasional, including top Umno leaders as well as the Malays, are supportive of the various liberalisation measures he has announced since taking over as Prime Minister on April 3. He said that this would translate into votes for the ruling party in the 13th general election. He also said that the spirit of the New Economic Policy (NEP) in its macro form would continue but the instruments used to restructure society and achieve equality would have to be changed. “I have engaged with the key players before I announced this and they believe it is time for us to change, review and move forward. I think people realise that,” he said when asked if his political party was behind him on all his moves. However, the measures announced did not mean the country has abandoned the need to have a more equitable society, as it remains the main goal, he said in an interview with CNBC which was aired in its entirety yesterday. A short version was aired last Wednesday where Najib touched on the ringgit and the economy. During the half-hour interview, Najib, who is also the Finance Minister, said Barisan was working towards gaining the people’s confidence and vote. “I want people to judge me by my actions and hopefully, they will judge favourably when the time comes,” he said. Najib said he was confident that Malaysians as a whole would realise that the changes put in place by the Government was the best way forward. Among the most recent liberalisation measures was repealing the Foreign Investment Committee (FIC) guidelines with immediate effect on the acquisition of equity stakes, mergers and takeovers. With the FIC repealed, it means dropping the 30% bumiputra equity requirement for Malaysian companies seeking public listing. They will now be offered 50% of the 25% public shareholding spread. He said the Malays would support the liberalisation. “There are some really good bumiputra entrepreneurs and corporate players. If you support the companies that are deserving and promising, I don’t think even the non-Malays will criticise you for that,” he said. “In terms of the goals, Tun (Abdul) Razak’s vision is still alive but the path we choose (and) the instrument to get there must be new. The New Economic Policy (NEP) had ended over 18 years ago, but we still speak confusingly about liberalising it, lamented veteran Umno politician Tengku Razaleigh Hamzah. “The NEP was necessary and even visionary in 1971, but it is a crushing indictment of our lack of imagination, of the mediocrity of our leadership, that two decades after its expiry, we talk as if it is the sacrosanct centre of our socio-political arrangement, and that departures from it are big strides,” he said. Speaking at a public relation consultants gathering yesterday on the eve of Prime Minister Najib Abdul Razak’s 100th day in office, Razaleigh said the affirmative action policy only “benefitted a few and government corporations when it was imposed”. “We were devising a time-limited policy for the day, in pursuit of a set of measurable outcomes. We were not devising a doctrine for an eternal socio-economic arrangement. “But as I said the NEP is no longer around, why do you feel the need to liberalise something that is no longer around – might as well announce that the NEP is over and gone, why confuse the issues?” he said. Razaleigh was commenting on the recently scrapped 30 percent bumiputera equity requirement for Malaysian companies seeking public listing and the repealed of the regulatory approval of Foreign Investment Committee (FIC). According to Razaleigh, the NEP was set up to “solve finite set of problems” but when it was over, the government did not have the courage to tell people this fact. “We must break the stranglehold of communal politics and racial policy if we want to be a place where an economy driven by ideas, and skills can flourish. Instead, he said that policymakers should think of a “new deal” in order for the country to be talent-driven and competitive. “A fair and equitable political and economic order, founded on equal citizenship as guaranteed in our constitution, is the only possible basis for a united Malaysia and a prerequisite of the competitive, talent-driven economy we must create if we are to make our economic leap,” he said. The veteran Umno politician also said it was “too early” to evaluate Najib’s performance. “It is too early … because we can only tell a politician’s performance on how he faces the elections. If the people give him good marks by electing him to the top of the polls, of course he has done well. “But I think he (Najib) is making effort to improve the situation. He is going all out, that poor fellow… he is working hard to bring in more investment into the country to provide employment and jobs for our people,” he said. However, he urged Malaysians to trust “less in personalities and more in policies”. “Look less to politics and more to principle, less to rhetoric and more to tangible outcomes, less to the government of the day and more to enduring institutions – first among which must be the Federal Constitution,” he said. Razaleigh said Najib’s 1Malaysia dictum should be evaluated against issues such as the constitutional crisis in Perak and claims of corruption in the Port Klang Free Zone (PKFZ) project. “I don’t know about you (but) I am embarrassed that after 50 years of independence we are still talking about bringing Malaysians together. “I would have wished that by now, and here tonight, we could be talking about how we can conquer new challenges together,” he said. Rakyat Malaysia yang bebas pemikiran mereka bukan menjadi impian Umno-BN. Oleh sebab itu ISA, OSA dan segala Akta dan jentera yang boleh dipergunakan bagi menutup kepincangan dahsyat pentadbiran Umno-BN akan terus wujud. KUALA LUMPUR, 10 July 2009: Slow democratisation will ultimately lead to economic and state failure, civil society groups said today in conjunction with Prime Minister Datuk Seri Najib Razak’s 100 days in office. While praising Najib for liberalising the economy and making it his focus in the three months since taking office, the non-governmental organisations (NGOs) said the premier should focus on democratic reforms in his next 100 days. “There is an important link between economic progress and political progress. It is no accident that the most developed and economically affluent countries have advanced and have fully democratic systems. Failed states are the ones with corrupt and authoritarian regimes,” said Centre for Policy Initiatives (CPI) chief executive officer Dr Lim Teck Ghee today. Lim said economic growth could not be sustained in the long-term without democratisation of politics and society. This was acknowledged by the world’s major economic forums and think tanks, he noted. He said one indicator of the lack of democracy was the brain drain where youths who studied abroad did not return to work. Lim noted that this was the experience of impoverished African nations, and was a clearly a problem for Malaysia, too. “We should be taking note of such indicators. Malaysia is not a failed state, we’ve succeeded on many fronts but have many weaknesses. The danger sign is our slow democratisation,” Lim said at a press conference which unveiled 10 Key Performance Indicators (KPIs) on democratic reforms that NGOs want Najib to undertake. “Civil society’s message to the prime minister is, if you really want Malaysia to be economically prosperous, these political reforms are imperative,” he said. 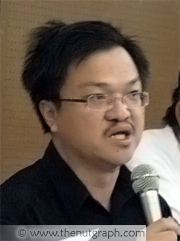 The KPIs were jointly developed by 10 civil society groups: CPI, the Civil Rights Committee of the Kuala Lumpur and Selangor Chinese Assembly Hall, Centre for Independent Journalism, Civil Society Initiative for Parliamentary Reform, Group of Concerned Citizens, Pusat Kesedaran Komuniti Selangor (Empower), Jamaah Islah Malaysia, People’s Parliament, Suara Rakyat Malaysia (Suaram), and Writers Alliance for Media Independence (Wami). Thirty other civil society groups endorsed the statement on the KPIs. The NGOs said that while Najib had been bold in liberalising the economy, the changes he made in scrapping the Foreign Investment Committee rules and the lifting of the 30% bumiputra equity quota were only helpful in being globally competitive. But Najib has yet to address the structural roots of economic stagnation, which the groups listed as ethno-nationalism, cronyism, corruption and abuse of power. “These are the major constraints and must be addressed if the country it to make any headway. At the same time, other reforms to close the income and wealth gap between the rich and poor, and to ensure environmental sustainability, also need urgent attention,” they said in the joint statement. People’s Parliament convener Haris Ibrahim said that the KPIs on democracy were not new as Najib’s predecessor Tun Abdullah Ahmad Badawi had promised similar reforms when he became prime minister in late 2003. “These KPIs are a reaction to [Abdullah’s] failure to deliver. Najib must acknowledge that he is PM today because of the failure of his predecessor to deliver,” Haris said. 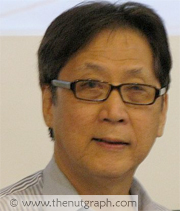 Wami chairperson Wong Chin Huat said Malaysians, of whom only 1% were concerned about democracy according to a recent poll by Merdeka Center for Opinion Research, should move beyond basic issues like earning money to larger issues such as democratic rights. “We don’t just want the freedom to make money, but we also want the freedom of expression,” he said. 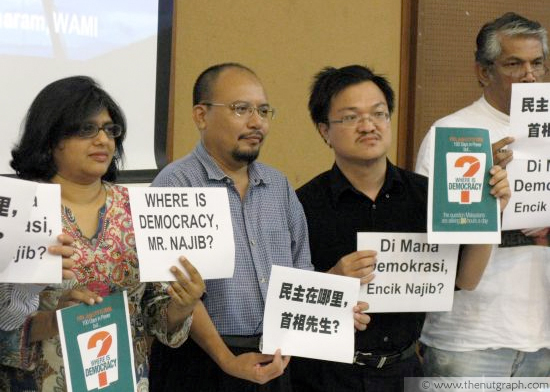 Suaram coordinator Tah Moon Hui said the scheduled 1 Aug 2009 anti-Internal Security Act rally in Kuala Lumpur would test Najib on whether he believed in democracy or not. Malaysia’s exports slumped 29.7 percent in May from a year earlier, hitting their lowest level since 2001 with demand evaporating, according to official data released today. The Ministry of Industry and Trade said in a statement that exports plunged to RM42.95 billion year-on-year while imports fell 27.8 percent. Total trade from January to May was worth RM360.78 billion, a decrease of 25.3 percent from a year earlier, but Malaysia did manage to record a trade surplus of RM10.02 billion for May. Yeah Kim Leng, chief economist at ratings agency RAM Holdings, said the sharp contraction was the worst for Malaysia since the dot com bubble burst in 2001. “This is worse than expected given that we were expecting some improvements,” he told AFP, noting that export figures however improved slightly by 4.5 percent month-on-month from April. “What we can infer from this is the stabilisation in global demand will only be reflected in Malaysia’s export performance in the third quarter,” he added. Lower overseas demand The trade ministry said the steep decline in exports was mostly due to lower demand from key trading partners, especially for electrical and electronic products which account for one-third of Malaysia’s total exports. Malaysia’s key exports markets are Singapore, China, Japan, Thailand and the United States. In April, Malaysian exports fell 26.3 percent. The government has said the export-dependent economy is likely to contract by 4.0-5.0 percent this year due to the drop-off in exports and manufacturing. Foreign investment has also seen a big dip this year. Trade Minister Mustapa Mohamed said yesterday that foreign direct investment for the first five months stood at RM4.2 billion compared to RM46 billion in 2008. Foreign investment in Malaysia has plummeted this year, Trade Minister Mustapa Mohamed said today after the government announced liberalisation measures aimed at luring investors. “Foreign direct investment for 2008 was RM46 billion and for January to May this year we have only seen RM4.2 billion,” Mustapa told reporters. This means that foreign investments for the first five months of this year is less than 10 percent of the total figure for last year. Wahad Hamid, deputy head of the Malaysian Industrial Development Authority, said the investment climate was extremely tough despite a strong performance by Malaysia in the three previous years. “Last year, total investment was about RM62 billion but this year we are only targetting half of that, about RM30 billion,” he told reporters. Mustapa said he was confident that liberalisation measures announced by Prime Minister Najib Razak this week would help bring in more funds, amid forecasts of a 5.0 percent economic contraction this year. “We are confident that investor sentiment will improve, we are encouraged by all the measures taken by the government,” he said. The liberalisation moves targeted a decades-old policy of positive discrimination for Muslim Malays, which critics say is making Malaysia uncompetitive. Najib scrapped a rule requiring initial public offerings to reserve 30 percent of stock for Malays – who dominate the population of the multicultural nation – and dumped regulatory approval for foreign property purchases. However, Mohammed Ariff, head of the influential Malaysian Institute of Economic Research, said the measures were poorly timed and would not bear fruit until the global economy recovers. “The liberalisation announcements should have been made in the good times instead of now, as there would have been a lot of responses from foreign investors,” he told AFP. Ariff said that despite hopes for a recovery next year, Malaysia’s economy is unlikely to really get back up on its feet until 2012. “To me real recovery is not just positive growth but going back to the growth we are used to, of around six percent, and that is way off – until 2012,” he said.